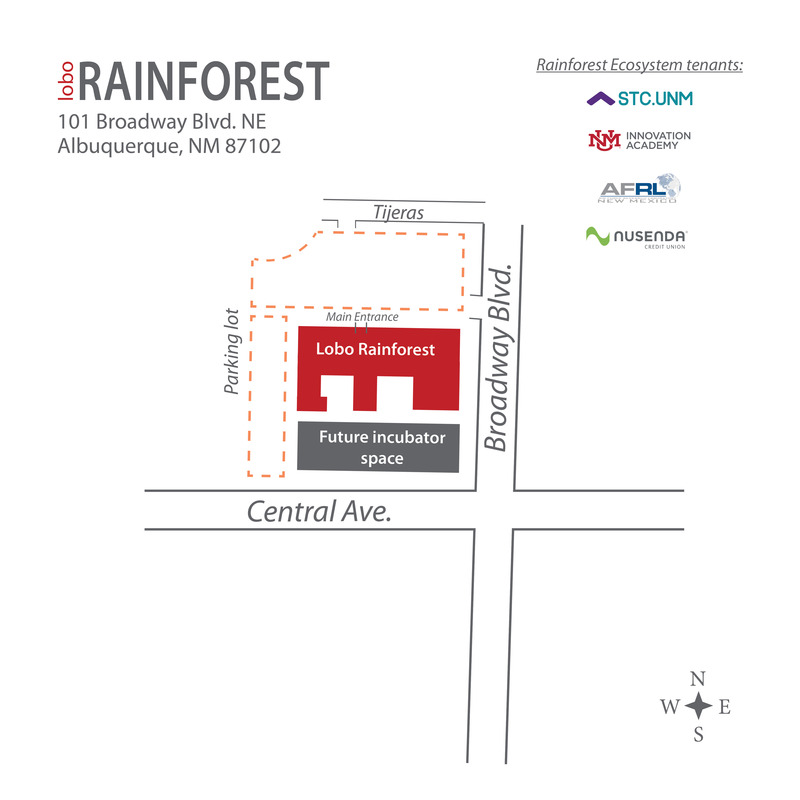 A technology showcase featuring inventions from the Air Force Research Laboratory (AFRL) and the University of New Mexico drew interested investors, entrepreneurs and company reps to the Lobo Rainforest Building in downtown Albuquerque for a morning session of presentations, networking and Q&A from CEO’s of local technology startups. The November 8 event featured six technology pitches by inventors from the AFRL and UNM to a full-capacity crowd, including a panel of “friendly” sharks who offered useful feedback to the presenters. The day’s events included welcoming remarks from Robert Nath, STC Board member and Co-Chair of the UNM Rainforest Forum, STC’s liaison group for the UNM and economic development community. Keynote speakers were Mary Lou Robinson, Division Chief of AFRL’s High Powered Electromagnetics Division, and Christos Christodoulou, Dean of the UNM School of Engineering. Dean Christodoulou stated that the School of Engineering has had an amazing collaborative relationship with AFRL for a number of years. He stated that the high-power electromagnetic research in New Mexico is one of the biggest and best in the country because of the close working relationship among UNM, AFRL, and Sandia Labs in this area. The school’s research in directed energy (lasers and high-powered microwaves) is a world-class program and the top academic program in the nation because of AFRL support and funding since 1988. The school has a large number of research faculty as well from AFRL and several of its labs are funded and equipped by AFRL. Dean Christodoulou stated that this support is a major factor in making the school one that can compete with the best engineering schools in the nation. The $45 million of AFRL funding over the last five years and continuous collaboration with the School of Engineering has raised quality of research, teaching, and student learning at UNM, and given students opportunities to work with top academic and industry scientists. The lunch time session, moderated by Carlos Romero, Associate Vice President of Research & Economic Development at New Mexico Tech, featured a panel of New Mexico startup executives who discussed their experiences growing their companies in New Mexico. Panel speakers were Cody Eilar, co-founder & CTO, Lens; Charles Mendez, CEO & board member, Enthentica, Inc.; and Mathis Shinnick, CEO, OptiPulse, Inc. 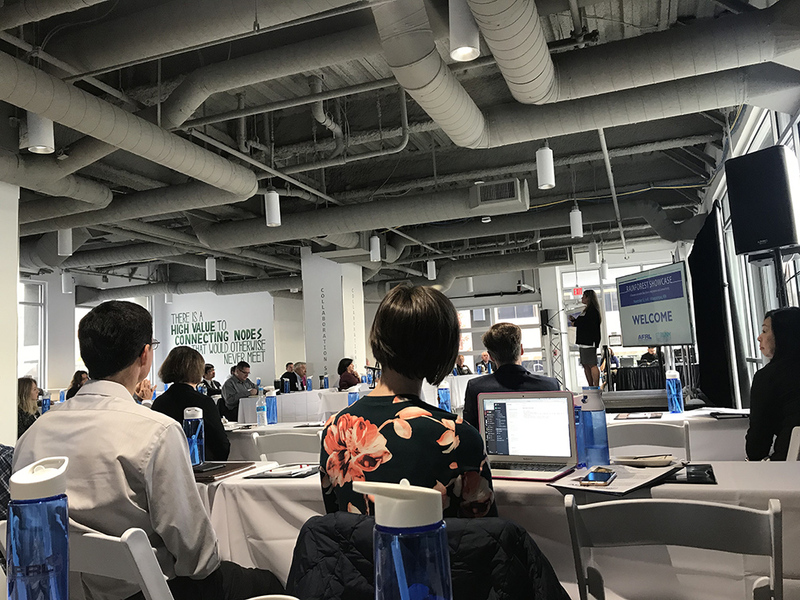 The showcase ended with closing remarks from Matthew Geisel, cabinet secretary for the New Mexico Economic Development Department. Secretary Geisel stated that the economic development focus in the past has been on recruiting big companies, but it is important to remember that only 3-14% of job creation comes from the corporate world. The rest of new jobs come from new business formation and the growth of small companies. Startups play an outsized role in this economic growth. Helping small and mid-sized businesses scale up and promoting specializations within institutions and companies in order to build clusters of technical expertise would grow New Mexico’s innovation economy. Geisel added that 60-70% of the department’s funding through its various business assistance and grant programs goes to New Mexico small companies.